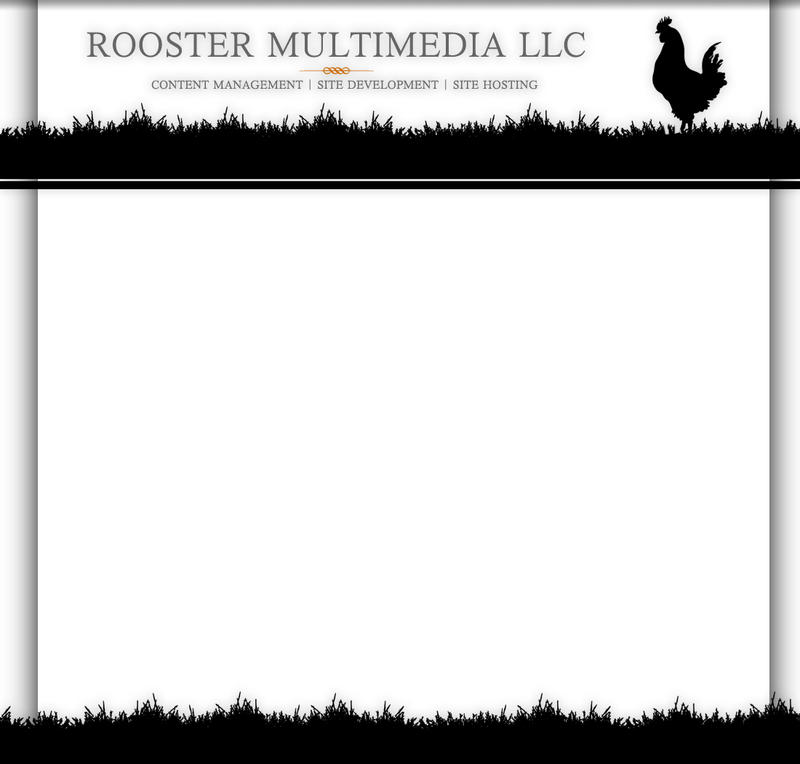 All content is propety of Rooster Multimedia LLC. 2009 All Rights Reserved. iTunes in a new window. Hello everyone, and welcome to Rooster Multimedia. We are proud to finally bring you a full service web shop that will taylor to your every site demand. Specializing in HTML, CSS, PHP and Flash, we will make every valiant effort to bring you into the 21st century online. Rooster also utilizes content management. Content Management Systems or CMS, gives you the freedom to change your information when you want. No more waiting on your webmaster to "get around to it". Address change, no problem, added employee, not an issue. CMS is so simple to use, you or your secretary could easily make changes to your site as you see fit. Simply log on, find the page you want to change and change it. Hit "OK" and you're done. Click HERE to read more about CMS. Domain registration, email and hosting are also fundamental aspects of Rooster. We can register your domain for a very reasonable price. Yearly domain registration and email starts at 13 bucks. Hosting is also avalible. Starting at 150 bucks a year, you can master 1 Terabite of monthly data transfer. If this sounds like a foriegn language to you, click HERE for more info on server monthly transfer and how it can affect your site. We understand that you may curious about the "Multimedia". We do that too. Using FLV (Flash Video) output, we can incorporate your deposition, 40th anniversary or video tutorial on your site. We also have some of the best Flash Animation developers at your disposal. Designing on the third dimension is nothing new to us either. Our primary 3D tool is called 3D Max. Click HERE to read more about our multimedia services.